As a member of several of the nation’s top reputable debt relief agencies, our lawyers represent clients in all bankruptcy matters, and in matters relating to debt collection, resolution, and consolidation. Our lawyers offer experienced and informed legal counsel, and skilled and zealous legal representation, in all aspects of the labor and employment relationship, and on any legal disputes arising between employer and employee. Our lawyers possess substantial knowledge and experience in all matters relating to small businesses, particularly those concerning the formation, interpretation, resolution and litigation of government contracts. Our lawyers possess substantial experience in real estate and construction law, from matters involving the purchase and sale of private residences, to those involving the construction and litigation of large, complex, multi-million dollar commercial projects. Our lawyers possess vast, successful experience in the preparation, negotiation, litigation and settlement of complex, multi-million dollar civil and commercial claims and disputes. Our lawyers possess substantial experience in representing clients in complex, multi-million dollar cases involving bank fraud, bankruptcy fraud, business fraud, mortgage fraud, and real estate fraud, under various federal and state statutes. 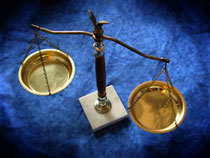 The Nevarez Law Firm can ably assist and represent you in all business legal matters. Our law firm possesses over thirty (30) years of legal experience working with individuals and small businesses in legal matters relating to bankruptcy, business, contracts, labor and employment, real estate and construction, particularly as concerns small businesses. Our attorneys will analyze your situation and provide you with an assessment of your needs and options, and guide you and your business through the complexities of the law, and any litigation. Take a few moments to explore our web site and learn more about the services our attorneys can provide you. Visit with one of our attorneys at any one of our three convenient locations in El Paso, Texas, or call one of our attorneys for a free 15 minute telephone consultation: (915) 225-2255. Possessing legal experience of more than thirty (30) years, our attorneys can provide you with effective legal assistance and consultation in all business and commercial matters. Our law firm dedicates itself to the full-time practice of advising and representing individuals and small businesses in every aspect of the law, competently providing a full range of legal services to its clients. The Nevarez Law Firm represents clients in civil litigation matters in the County of El Paso, Texas, and throughout West Texas and New Mexico.